Real estate transactions involve a significant amount of money and tons of legal documents, so it is recommended that you seek suggestions from a real estate agent. If you are buying a home, a real estate expert can offer you property listings that meet your needs. If you are a home seller, you want to work with a licensed agent (i.e. a listing agent/seller's agent) that can negotiate a winning deal. The key is to get trustworthy real estate guidance from a real estate expert who will place your interest above anyone else's. 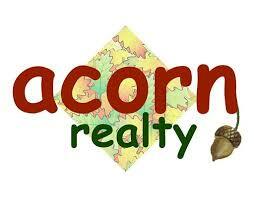 If you are searching for a Bentonville licensed agent to help you search for houses, Acorn Realty can help. Acorn Realty is made up of certified Bentonville real estate agents who are licensed when it comes to searching for homes in Bentonville, Bella Vista, Rogers, and other surrounding cities. Call Acorn Realty today and get practiced real estate service from agents who are familiar with valuing or looking for properties in Bentonville. Submit a completed form today and get specialized recommendations!